Columbia University Libraries Online Exhibitions | Sydney Howard Gay’s "Record of Fugitives"
Sydney Howard Gay’s "Record of Fugitives"
In 1855 and 1856, Sydney Howard Gay, the editor of the weekly abolitionist publication, the National Anti-Slavery Standard and a key operative in the underground railroad in New York City, decided for unknown reasons to meticulously record the arrival of fugitive slaves at his office. The resulting two volumes, which he called The Record of Fugitives, sits in the Gay Papers at the Rare Books and Manuscript Library of Columbia University, where it has remained, until recently, virtually untouched. Gay interviewed the fugitives, who numbered well over two hundred men, women, and children and recorded their stories. More than half of them arrived by train via Philadelphia, and also appear in a similar set of records maintained there by the black abolitionist William Still, enabling the historian to check the consistency of the runaways’ stories, and to combine the contents of the two documents. 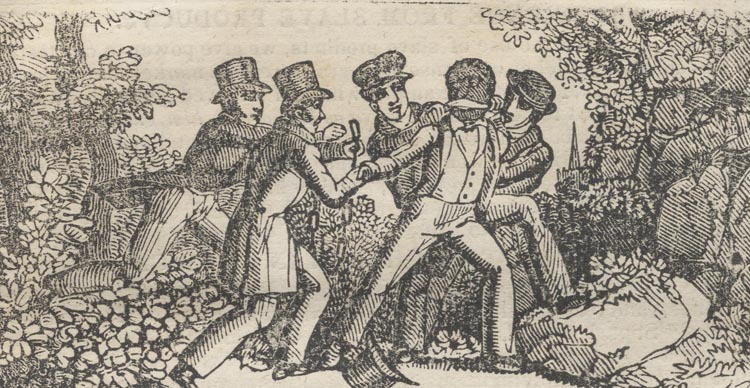 The Record of Fugitives is a treasure trove of information about how and why slaves escaped, who assisted them, and where they were sent from New York. It contains references to well-known individuals like Harriet Tubman, who passed through New York City twice during these years, and little-known figures such as Louis Napoleon, a black porter who worked in Gay’s office and was the key operative in meeting fugitives who arrived in New York and assisting them on their journeys to freedom. But at its heart lie the arresting stories of the fugitives themselves, as Gay, an accomplished journalist, recorded them.